St. Paul's Minster, a former Dominican monastery, is considered the oldest remaining mendicant church in Germany. Only five years after its foundation in Toulouse, the Dominican Order was happy to come to a flourishing trading centre like Esslingen. Here, their sermons could be heard by many people. The Dominicans began the building in 1233 and by 1268 the church was ready to be consecrated by the famous scholar and bishop Albertus Magnus. 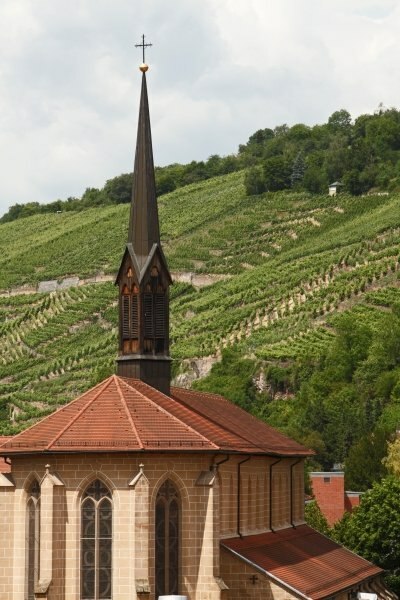 Today it is a beautiful and early example of the Gothic Style in the Neckar region. Simplicity was a characteristic of buildings of this religious order. 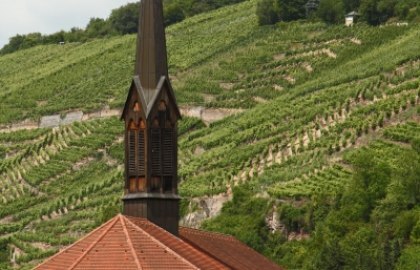 Only one bell in the modest wooden ridge turret called the monks to prayer. There is no transept separating the choir and the nave from each other. The stained-glass windows in the choir are of a much younger date. They are from the year 1961.